Can Legislature Override Gun Veto? The Illinois legislature is back in session, but can they override Governor Rauner's veto of a gun reform package? NBC 5's Mary Ann Ahern details the happenings in Springfield. The Illinois Senate has approved another plan to regulate firearms dealers after Gov. 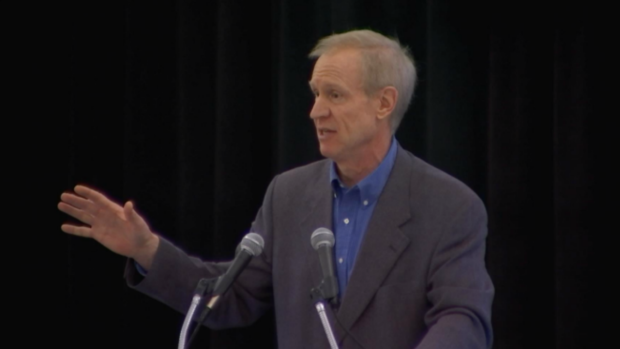 Bruce Rauner vetoed a similar plan in March. The Senate voted 35-18 Wednesday to require the Illinois State Police to license gun-shop owners for $1,000 for five years. The plan also provides a penalty for unreported private transfers. Democratic Sen. Don Harmon of Oak Park says his plan answers Republican Rauner's complaint that the initial measure was burdensome. Republican Sen. Dale Righter of Mattoon says the legislation punishes law-abiding gun dealers. Mayor Emanuel along with CPD who support stronger gun laws, criticize Governor Bruce Rauner's veto on the gun dealer licensing bill. NBC 5's Mary Ann Ahern has reports. The Senate also approved legislation to prevent gun transfers like the one involving the alleged gunman in April's Nashville Waffle House shooting. Law enforcement officials had confiscated Travis Reinking's guns but his father returned them to him.